Help your clients to select the best photos! Communication about photos selection, client's comments about editing and retouching photos, your selection recommendations, deadlines, the status of orders, the option to mark photos for printing, photo tagging and everything customized with your brand. Start with the Free license which is up to 500 uploaded photos for free. You can increase the number of photos by buying the appropriate license anytime. When you upgrade your license from Pro to Ultimate, the remaining amount will be automatically subtracted from the cost of the new license. 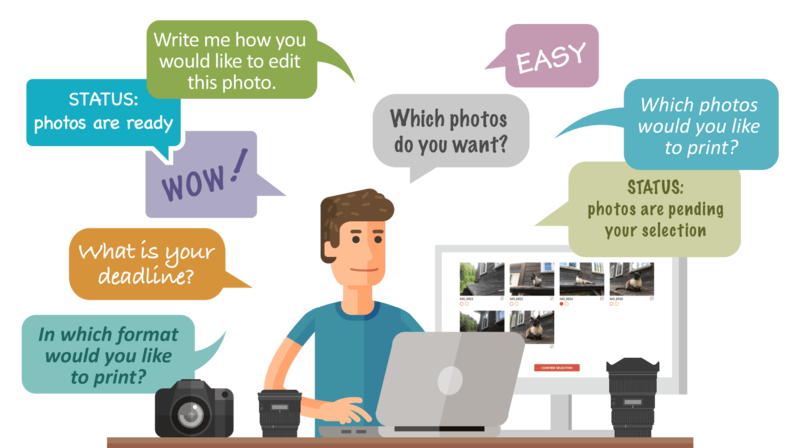 SelectPhoto helps you in an efficient way to organize your client's order of selected photos. Do you need any help from our side?